Facebook Launches Product Ads, A Possible Threat To Google? Today Facebook has announced the launch of product ads which is actually a new advertising unit for facebook. It`s look like Facebook want to be a real threat to Google Shopping ads. Product ads of Facebook allows you to advertise multiple products at one time and even you can display an entire catalog of products and target ads in different ways. You can create campaigns targeting specific audiences for products. Ad tools of Facebook can automatically target most relevant audiences for your products. You can also customize product ads for various customer touch points such as purchase or discovery. With product ads you can can be target different audiences for example people who have already visited your app or website. 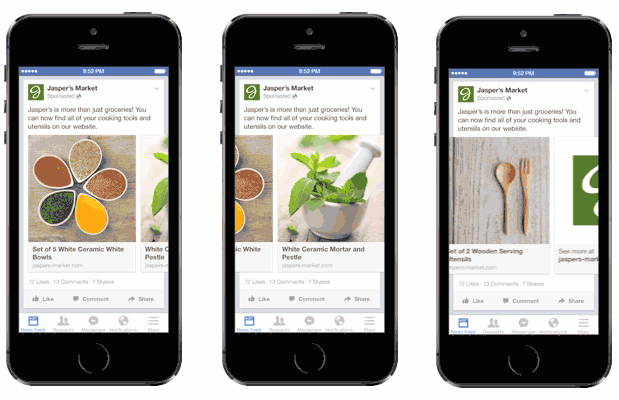 Until now, there was no solution on Facebook for marketers to advertise products and display them on mobile and desktop. Google Shopping ads the biggest share of company’s growing business. Google Shopping ads mostly target products on mobile devices, as mobile devices promotion is a very lucrative feature. Now Facebook also offering similar solution and it could end up covering some good market share from Google ads. According to the reports published on Wall Street Journal, business can take product feeds and without any extra work can adapt them for Facebook’s product ads. The fact that advertisers can switch over from Google shopping ads to Facebook’s product ads, feel even better for the social media giant. Product ads are starting today. What you think about Facebook product ads? Which one you prefer facebook ads or Google shopping ads? Don`t forget to like us on facebook and subscribe eAskme newsletter to get free updates.